This guide is for installing and setting-up the game for the Russian OBT. All the guides and patch notes or news on BDFoundry are currently for the Korean version. The differences between the Korean and Russian OBT is that Russia’s version does not require you to buy an account. The disadvantage with using the Russian version is that the patches are really behind. This means that the Valkyrie, Blader, Plum, Wizard and Witch classes are not available, along with some armor types, items and other various features. As of 15/10/2015 you now require a VPN to play due to an IP block. More information under the heading “Getting a VPN”. Enter your e-mail address and password in the spaces provided then click the green button to register. Also, if have a VK account you can log into GameNet with this by clicking the blue button on the right. You will now be taken to the welcome screen where you can enter your nickname (username) along with various other information. You will not be able to use GameNet social features without registering a nickname. Go to your e-mail inbox and look for an e-mail from GameNet with the subject “Добро пожаловать в GameNet!”. You may need to check your spam folder. The e-mail should look similar to the one in the screenshot below. To verify your e-mail address, click the link under number 3. You do not need a VPN to download the game so I would recommend starting the downloader whilst you are setting up the VPN. However, a VPN is required to play the game. Disconnecting from the VPN whilst in-game will result in the game crashing. Alternatively, you can use WTFast to change your IP. There are plenty of guides but I would recommend this YouTube video guide. You will be asked to login. At this point, exit the launcher and make sure it is also closed in your system tray. Open your Program Files and look for a folder called “QGNA”. From here open another folder named “languages” and copy + paste the file “qgna_ru.qm.qm” into this folder. There should now be 2 files in this folder. (This step isn’t necessary but will translate the launcher to English). Start the GameNet launcher by going to your Program Files and opening the QGNA folder. There should be a file named “gamenet.ui.exe”. Double click the file to launch. 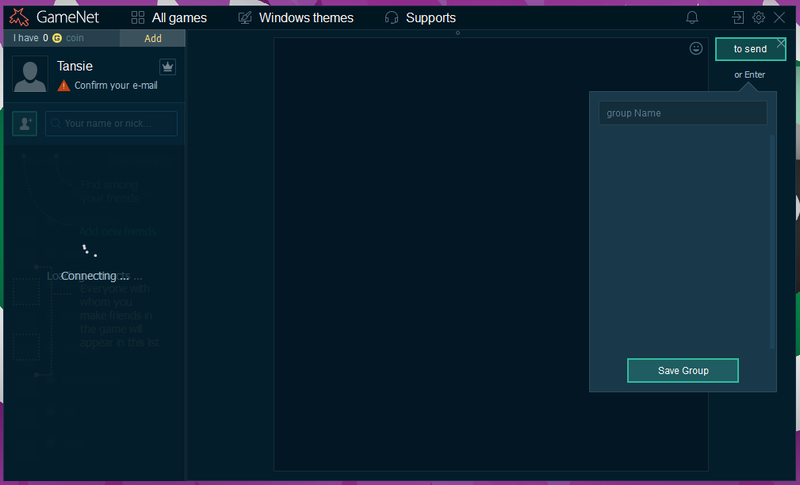 Alternatively, you can open the launcher through the Start Menu under “All Programs” then “GameNet”. You may also have a shortcut on your desktop. Log-in using your GameNet account details (e-mail and password). Mouse-over Black Desert and click “Play”. Select your game directory (default: C:/Games/BlackDesert) and click “Set” to continue. The game will now start downloading! You can use a torrent download to speed up this step, but there have been quite a lot of issues with using a torrent. More information will be added shortly about using a torrent to download the game. Once the game has downloaded, copy the folder “prestringtable” from 37_Russia_EN.zip and paste it into your game directory (default directory: C:/Games/BlackDesert). Black Desert is now ready to play! Full credit goes to tsr2 for this install & setup method. Mouse-over Black Desert and click “Play”. Fix: Fully close the launcher and make sure it is closed in your system tray. Go to your computer then follow this directory: Users\Name\AppData\Local\Vebanaul\GameNet. Delete the folder “torrents” and restart the launcher. I highly recommend using the Full English Patch as it translates all the basics, most item descriptions, quest descriptions and some NPC conversations and story lines. All of our guides use the English Patch. The method we have shown above will automatically apply the English Patch to the game. However, every game patch you will need to delete and re-apply the English Patch or you will experience crashing and will not be able to play. To do this you will need to download the English Patch using the link below. You can place the patcher anywhere on your computer and it will automatically detect your Black Desert files. Every game patch you will need to delete and re-apply the English Patch or you will experience crashing and will not be able to play. They already blocked all non-russian IPs for this one as well, you need a VPN to play now pretty much like the japanese client. If you find an error whilst downloading or installing please leave a forum topic under “Technical Issues” so we can not only try to help you, but update this guide with more information to help others!